Sammy Watkins was a part of a blockbuster trade that sent him from the Bills to the Rams on Friday, and he had a similar reaction as everyone else. Football fans of any team around the league all had to be surprised when they saw the news on Friday afternoon that Sammy Watkins was traded from the Buffalo Bills to the Los Angeles Rams. Apparently, Watkins was in the exact same boat when the news broke. The Bills traded Watkins and a sixth-round pick to the Rams for CB E.J. Gaines and a second-round pick, and that was just the beginning. Watkins wasn’t the lone player traded from the Bills in their purge on Friday, with cornerback Ronald Darby also dealt within the same time frame for wide receiver Jordan Matthews. On Saturday afternoon, Watkins had the chance to address the situation in front of reporters as a member of the Rams for the first time, and admitted that he himself was in awe at the trade as it went down. 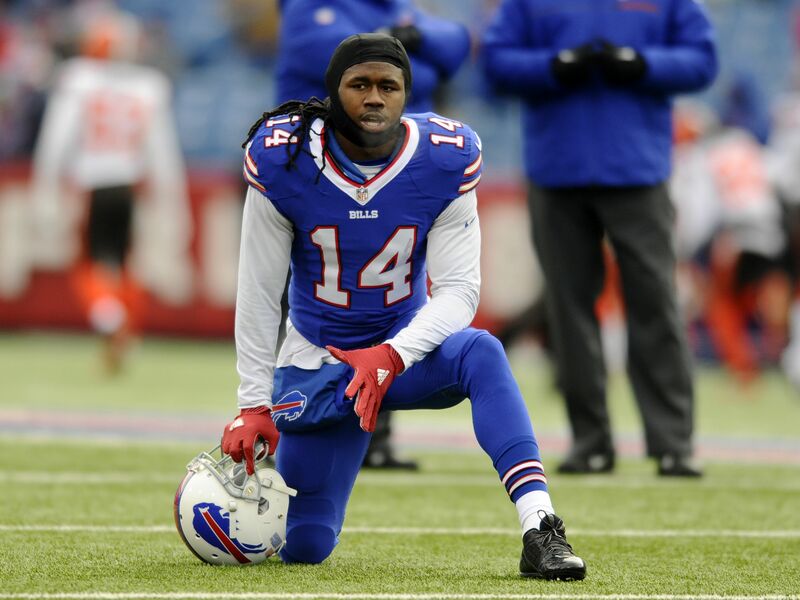 Watkins, who was the top receiver and a vital part of a young Bills offense, now has a new system to learn in just a few weeks before the regular season gets going, and said that even he’s unsure how he will fit into the depth chart and Rams play-calling. The Rams had their first taste of preseason action on Saturday night against the Dallas Cowboys, and Watkins will have to adjust quickly if he wants to learn the playbook before things really get rolling.